The LG V40 ThinQ takes smartphone photography to a new level, with 5 cameras in total - 3 rear shooters and 2 front shooters. It is also well-rounded in all the other excellent features that the V series has been known for, such as its large 6.4" QHD+ full-view display, 32-Bit Quad-DAC, Qualcomm Snapdragon 845 Chipset. 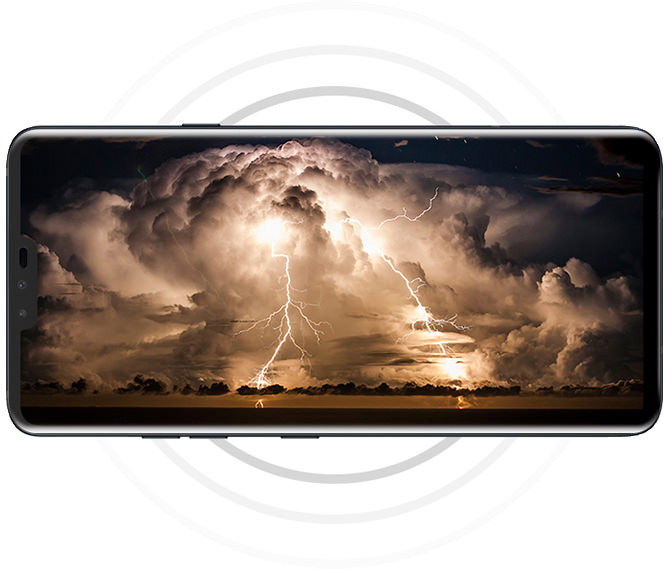 With telephoto zoom, standard and super wide modes on its rear camera, the LG V40+ ThinQ equips you with the camera to capture to best possible photo for the scene. The LG V40 ThinQ has AI Cam to analayse and optimise the shot. With great low light performance and portrait mode, the LG V40 ThinQ delivers outstanding selfies.